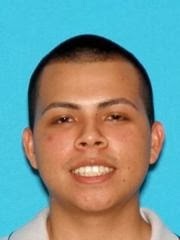 The Ventnor City Police Department and the New Jersey State Police Missing Persons Unit are seeking assistance from the public locating 21 year old Kennedy Rios. Kennedy Rios is 5'4", 160 pounds. He has black hair, brown eyes and a light, brown complexion. In addition, he has a tattoo of a flame with a Roman numeral located on his left arm. He was last seen at his residence in Ventnor City. He was scheduled to work at the Borgata Casino, in Atlantic City, NJ on January 7, 2014. He did not show up for his shift or call out sick. Mr. Rios may have been seen in Atlantic City on the evening of January 11, 2014 in the area of El Patron Bar. Rios' sister says her brother attended a party Tuesday night and left early Wednesday morning, with no protection against the freezing temperatures, according to NBC 40. Police also searched the frozen bay in the area of Ski Beach in Ventnor. Anyone with information is asked to contact the Ventnor City Police Department (608) 822-2101 or the NJSP Missing Persons Unit (800) 709-7090. I dont know you but your picture is in many stores. Somehow you have touched my heart. i will miss seeing you. i will try not to forget you and hope you were not hurt by another.